The aim of this technical workshop is to support representatives of the Ministry of Environment and Physical Planning in the former Yugoslav Republic of Macedonia as well as their peers in other countries in the Western Balkan and Turkey in their implementation of the EU Emissions Trading Scheme (EU ETS). This technical workshop is mainly directed towards the staff of the Ministry of Environment and Physical planning in the former Yugoslav Republic of Macedonia and their peers in other countries in the Western Balkan and Turkey. Other stakeholders addressed are the operators of industrial installations, the environmental protection agency, other Ministries and potential verifiers. At present, Candidate and potential candidate countries need to implement all requirements as formulated in the Acquis, which for climate change foremost means adoption of the Directive on the Emissions Trading System and all its implementing regulations. 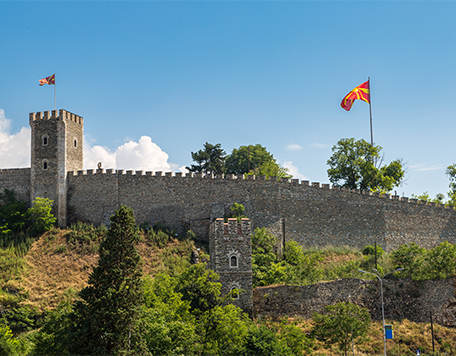 The former Yugoslav Republic of Macedonia ratified the Paris Agreement in November 2017 and had earlier already started first preparations for implementation of the EU ETS. This implementation focused on identifying the potential EU ETS installations, modelling emission scenarios and understanding the MRV requirements. This workshop is aimed to help this process forward, especially to involve a wider group of stakeholders in understanding the needs of actively preparing implementation of ETS and helping the Ministry in that task. Another key interest is to learn on formulation of Climate Laws in other EU Accession countries, such as Serbia and Albania. The EU ETS preparations in the former Yugoslav Republic of Macedonia so far mainly included the Ministry staff and scientific support. Since this year an IPA project to formulate the climate law and action plan will start,- which includes the required legal framework for the EU ETS – the time is right to intensify EU ETS preparations and start informing the wider group of EU ETS stakeholders. Provide recommendations for further preparation and focus of work in the coming years.